A Shaman friend of mine likes to purchase old coffee mugs from the thrift store. Chipped, cracked, ugly, she doesn't care, because she doesn't buy them for holding beverages. Instead she keeps them stored away for times when she's terribly upset and angry – she takes the container of mugs outside and hurls them at a wall, one by one, until the outlet of crashing and shattering has soothed her nerves. She then collects the shards of pottery and adds them to her rock garden. A garden which receives no small amount of praise for its beauty and color. Not sure where I'm going with this? Keep reading. Are you tired of not achieving what you want? Believe it or not, a negative attitude can be a key contributor to your feelings of defeat. A lot of this comes from the fact that you may not have much control over what's happening outside yourself, while you have total control over what goes on inside. If this sounds daunting, don't fret! The good news is you can train yourself to become an optimist. Turning your attitude into action is as easy as understanding these four simple tips, soon you'll see your outlook brighten as you begin reaching your goals. 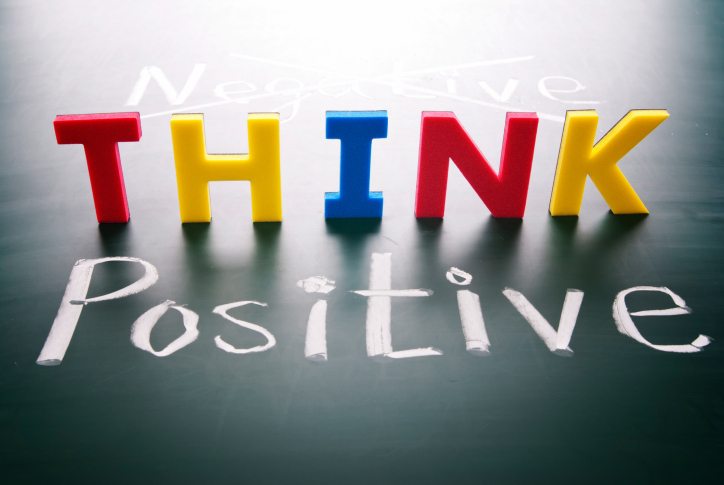 • Understand the Power of Attitude – Don't take my word for it, plenty of studies have proven that optimists live longer and enjoy better health. They're not doing anything wildly different; they just have a positive attitude. What's stopping you from having a positive attitude? Are you bitter about past upsets? Why not try being optimistic and open to new things instead? You decide how you feel about things, so take some time to consider how your present attitude affects your life. This really is a fundamental building block for creating positive, lasting change. • Make a Conscious Choice – We all know bad things happen; it's all part of the chaos that is life. You don't have a monopoly on misery (and why would you want to? ), so don't take a bad moment and turn it into a bad day. Experience the upset, and then let it go. Give yourself a brief moment to really feel some rage if someone has made you that mad, but then give yourself permission to move on. A great deal of attitude really comes down to choice. Be like my wise, Shaman friend, shatter whatever your version of a mug might be and create art from the shards. • Think Realistic and Tangible – Feeling better already, right? Now that you're starting to feel pumped and jived for what the great things the Universe has in store for you, how about making a list of some concise, feasible goals, which will help the optimism moment rolling. When I'm not seeing progress at a pace I would like and frustration starts to set in for me, I make rice pudding. Or bake. Or do pretty much anything that can be completed in less than an hour with a very clear definition of success at the end. Warm, creamy rice pudding is about as good a definition of success as I can think of! How about you? • Keep Positive – Have you ever spent time with someone with such positive energy that you couldn't help but feel jazzed too? Well, my friends, soon enough people are going to be resonating with your own flavor of positive energy. Positive energy inspires others, and by staying motivated there's no telling what you can achieve. Just remember, whatever problems you're experiencing today aren't going to stick around forever, you're not the only one with problems, and the problems you have aren't going to destroy your entire life. It's fleeting, and if it's going to pass by, might as smile while it goes. I hope this helps you take steps towards a more positive outlook and all the great things that being optimistic brings. The advice to keep on the sunny side of life isn't just some catchy song lyrics; it's actually a recipe for better health, happiness, and success. I think you're worth it, and so should you. From the time I could speak I've been giving advice, so much so that a friend of mine decided a deck of tarot cards might help reach out to others in a way previously unavailable to me. I'm convinced that a positive attitude and loving heart are two traits that cannot only be trained, but developed further with study of the tarot. Let me be your guide to your soul's destiny.